The cornerback lost someone dear to him. The team gained something worth keeping. And in between, in the moments when a team picked up a hurting comrade, the Tampa Bay Bucs gave all of us an afternoon to remember. They found strength in each other, the wounded cornerback and the team that picked him up. It seems like such a small thing, a football game, when you are talking about a loss of life. But we do what we can do, and so the Tampa Bay Bucs gathered around Alterraun Verner and shared their strength. They were a team of relevance, a team of resiliency, a team of unity. And together, they were something to behold. This was the Bucs as you have only imagined them, a fierce defensive team and an imaginative offensive one, a team with a winning record, a team that can suddenly play with anyone. This is a team of substance, a team of heart, a team of caring. It was a team finding strength in each other through its finest run in years. In other words, it is the kind of team that Robert Lee Verner would have loved. should have. He was another proud father of an accomplished son who died of a heart attack Saturday afternoon. And while he would have enjoyed the win, it wasn't essential for his love of his son. And so Verner played. Of course he did. He didn't think his father would want to be the reason that he didn't play. At one point, he intercepted a pass, and moments later was on the sideline on his knees. “My Dad was my biggest fan,” Verner said after the game, obviously filled with emotion. “He made so many sacrifices for me to get to where I am today and I just know he wouldn't want him to be the cause for me not to play. That's why I decided to play. I wanted to honor him knowing all he did to get me to where I am today. Sure, it says volumes about Verner that he declined to take the day off to mourn. He wanted to be there for his teammates, there to honor his father, there to help make a difference. But it also says the world about the Bucs, and the way they felt another man's pain, the way they were there to console, there to comfort, there to support. This is the best of the Bucs. A year ago, Kwon Alexander lost his brother, and then, too, the Bucs rallied around him. They had one of their biggest wins of last season against Atlanta that day. Somewhere in the middle of loss, a team can find itself. The team has now given up three touchdowns in three games. It has beaten two teams in a row who are in the top 10 in the power rankings. For a football team, it is often at the end of the season that things start to click, and the next year, that team is very, very good. Perhaps that is starting to happen to this team. 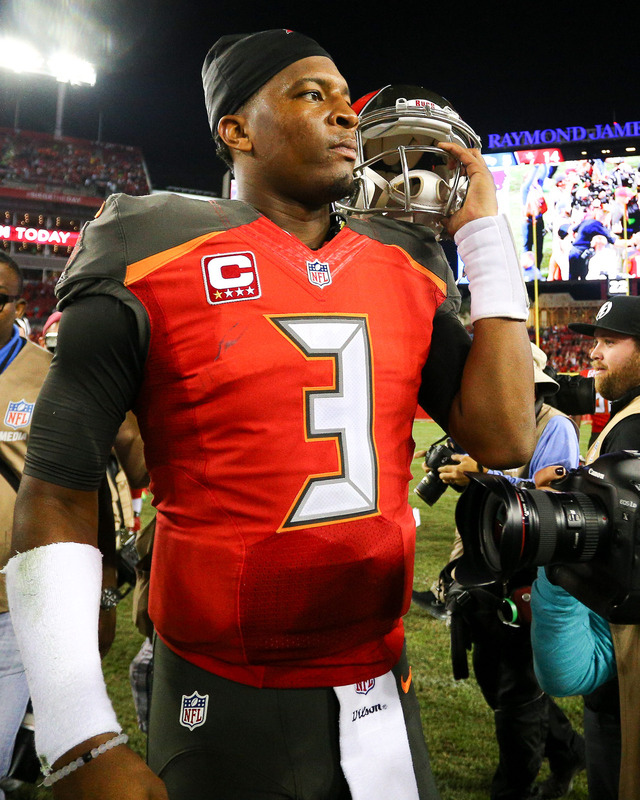 Perhaps it is responding to Dirk Koetter, and to Mike Smith, and to Jameis Winston. Consider this: For six of the past seven weeks, Winston has had a quarterback rating of 93.6 or better. They suddenly have a running game. They have solid safety play. They have a pass rush. They have one of the finest young quarterbacks in the league. So is it time to take a different view of these Bucs? Sounds fair. But for the rest of us, it wasn't very long ago that some wondered if the Bears game was the Bucs' last chance to win. Now, they chase a 7-5 record next week in San Diego. If they can get past that, they'll be firmly in the playoff hunt. Considering this team was 1-3, that isn't bad. Regardless, say this about the Bucs. They have something deep inside. They take this talk of family seriously. Soon, maybe you will take them seriously, too. I have always taken the Bucs seriously. I am seriously happy when they win! I am seriously mad when they loose a game they seriously should have won. I am seriously happy today!